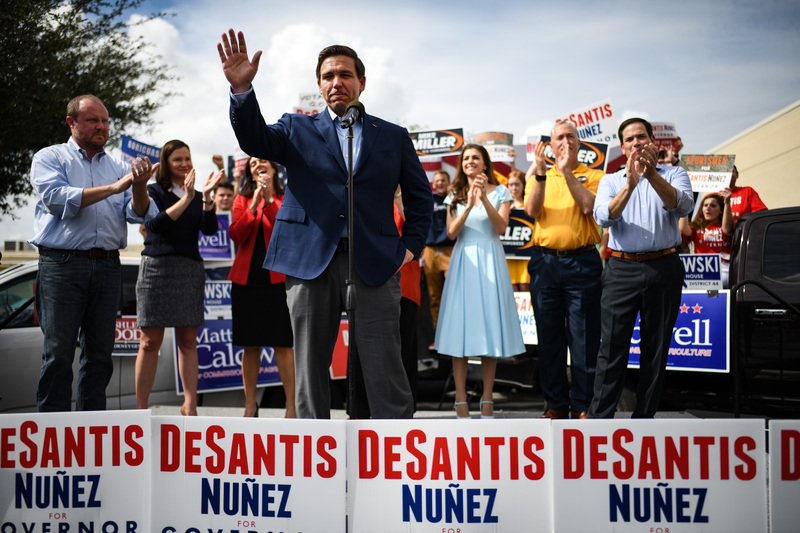 Former Republican Rep. Ron DeSantis defeated Democratic Tallahassee Mayor Andrew Gillum on Saturday after an incredibly heated Florida gubernatorial race that remained contested for longer than a week after polls closed. Gillum ended the race via a message on Facebook, congratulating DeSantis for winning the governorship and giving a final concession. However, the results of the race will likely not be certified by the state until Tuesday. Gillum’s announcement follows an automatic recount that ended Thursday and showed him gaining just one net vote in the process, making the margin against DeSantis officially 33,683 votes, or 0.41 percentage points. DeSantis initially declared victory after Gillum conceded on the evening of Election Day. Gillum, however, withdrew his concession on Nov. 10 after the voting margin narrowed in the Democrats’ favor as absentee and provisional ballots were tallied. DeSantis received an endorsement from Trump during his Republican primary race, and Trump has rallied in Florida on behalf of the congressman, including two times in the week leading up to Election Day. As the race headed towards a recount, Trump expressed his dismay, demanding the election be called for Republicans. DeSantis and Republican Gov. Rick Scott, who is also in a heated race for a Florida U.S. Senate seat, have maintained that there were not enough votes left to count for their Democratic challengers to make up the deficit. The race between the two gubernatorial candidates has been contentious since the onset. DeSantis faced backlash mere hours after winning his state’s Republican nomination following a comment that was misconstrued to seemingly refer to Gillum’s race. Gillum has subsequently and frequently implied that DeSantis is a racist, but DeSantis has vehemently denied the accusations and further condemned racism. The race had been in a statistical dead heat leading up to Election Day, with DeSantis consistently lagging by a razor-thin margin.